Well, temperatures have dropped significantly overnight and it has required us to pull out our winter hats, gloves and warm socks. I am definitely not ready for the 30 degree weather, but I have to admit there is nothing more relaxing than snuggling under a blanket with a big mug of white hot chocolate. This drink is creamy, rich and has a great kick from the bourbon. 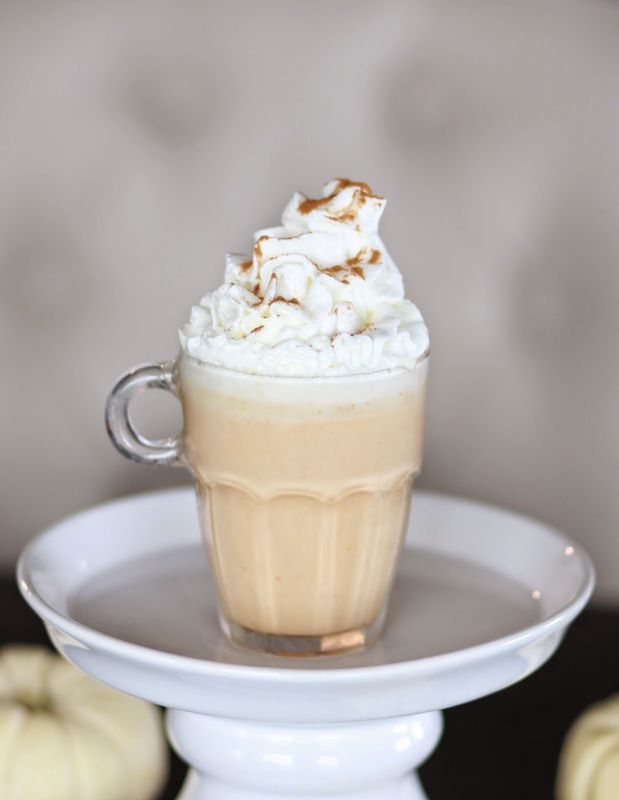 If you are tempted to hibernate as we approach winter, this decadent drink will definitely give you the boost you need. I used fat free milk, but use whole milk for a richer taste. Cozy on the couch with my hot drink and great view of Navy Pier. *Whip all the ingredients together until you have soft peals. 1. In a saucepan over low-medium heat, melt the chocolate chips and 1/2 cup of the milk, whisking often (about 3 minutes). 2. Once melted, add the rest of the milk, the pumpkin and the pumpkin pie spice and stir to incorporate. 3. Pour a small amount of the hot chocolate into two serving glasses, add one-half ounce of bourbon. 4. Top off with hot chocolate, stir and then top with whipped cream, caramel sauce and more pumpkin pie spice.